What might appear to be a Bugsy Malone version of 1492: Conquest of Paradise is actually from the encyclopedic series Public School Methods, a 1920 handbook for teaching gradeschool. 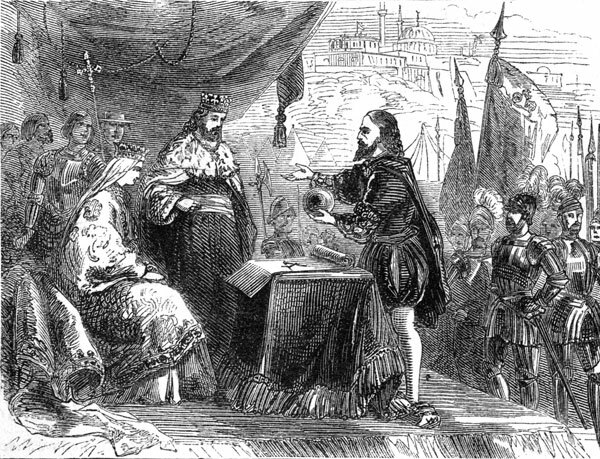 The vignette is called “Columbus at the Court of Spain”, which shows Columbus demonstrating a globe to Ferdinand and Isabella, while Isabella, in return, is offering her jewels to finance the trip. 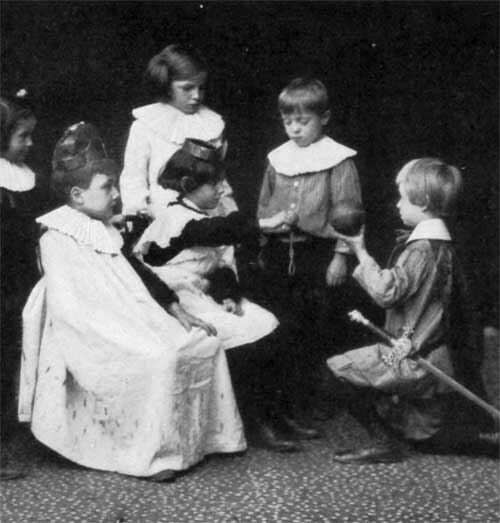 The book recommends that young children learn through pantomime, as using words may prove too difficult. Alas, dressing children up as historical figures has given way to rote learning today. Oh, and the sword? 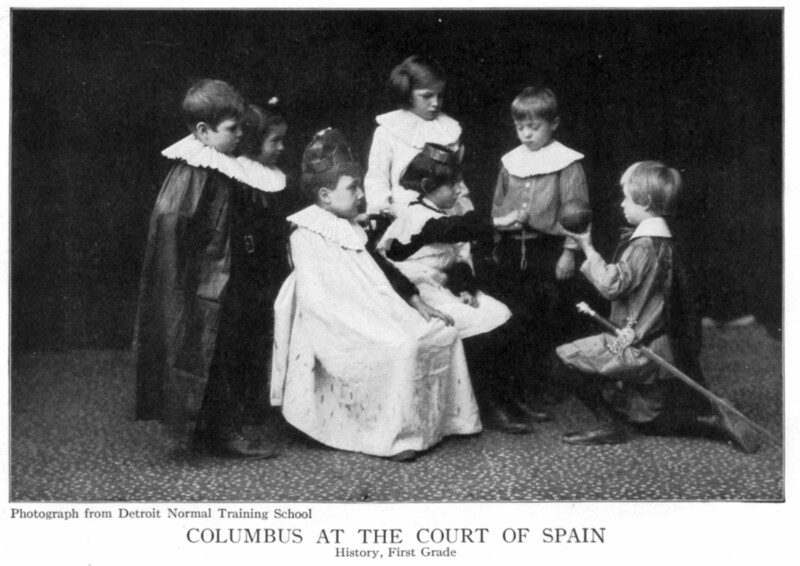 Somebody in the Little Columbus’ family must be a Knight of Pythias. 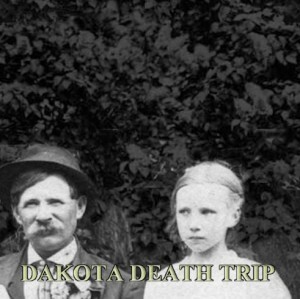 You are currently browsing the The Infomercantile blog archives for January, 2012.